How do you completely renovate a Major League Baseball Spring Training complex in 330 days? Fast is the glib answer, but magic doesn’t happen without a total joint effort between a team, city and the architecture and construction professionals, all exhibiting the spirit and drive to match innovation and an authentic vision. 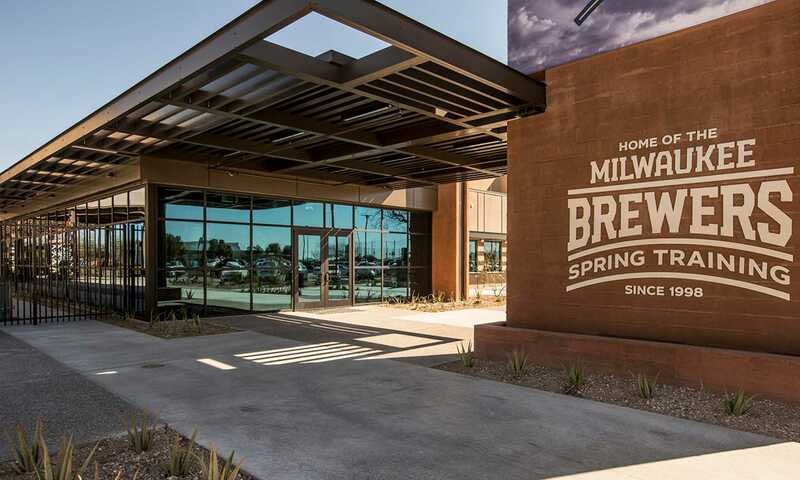 Construction began in March 2018 – the very day Spring Training ended – on the American Family Fields of Phoenix, the 60-acre new Milwaukee Brewers Spring Training facility in the western Phoenix community of Maryvale. A commemoration ceremony was held February 12, and the gates open to fans for the inaugural game on February 26. To meet an extremely tight construction schedule within 10 months, the project’s 1,500 workers labored 500,000 hours to deliver a complex design program that fulfills the Brewer’s three key project goals: develop a world-class facility for Spring Training and year-round player development; create a markedly improved fan experience; and make an impactful investment in the community. As part of a public-private partnership, the Brewers invested more than $50 million in the design and construction of the facility. The City of Phoenix is allocating $2 million each year for the next five years for additional renovations, and the Arizona Sports and Tourism Authority is contributing about $5.7 million. The Brewers oversee the year-round operations and maintenance of the complex. In the Valley, Cactus League baseball is a time-honored tradition, attracting fans to Arizona each spring, boosting tourism and the region’s economy. HKS applied lessons learned from the five MLB Spring Training facilities it has already designed, including Salt River Fields at Talking Stick and Camelback Ranch, both in Arizona. Key among them is retaining the intimate experience that draws fans to Spring Training while integrating every modern amenity to maximize accessibility, comfort and enjoyment for fans as well as players preparing for the 162-game regular season. 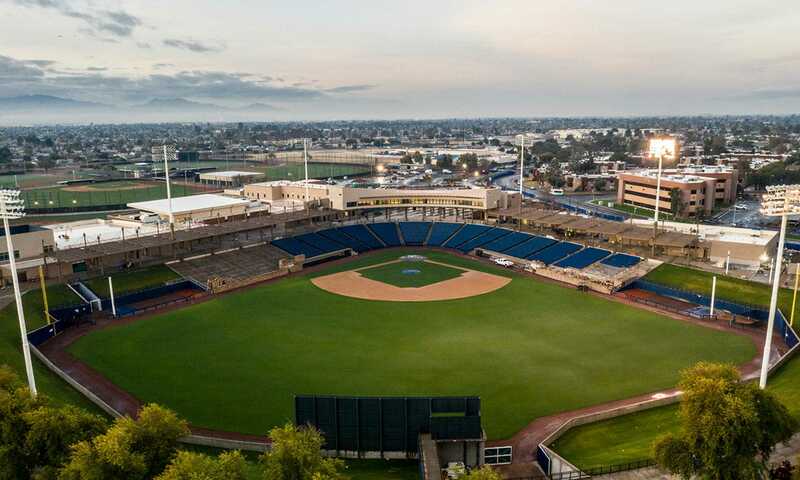 The original Maryvale Baseball Park opened in 1998, and over the course of two decades the Brewers operations expanded; it was time to improve the infrastructure, interior and exterior spaces and upgrade amenities for fans, staff and players alike. 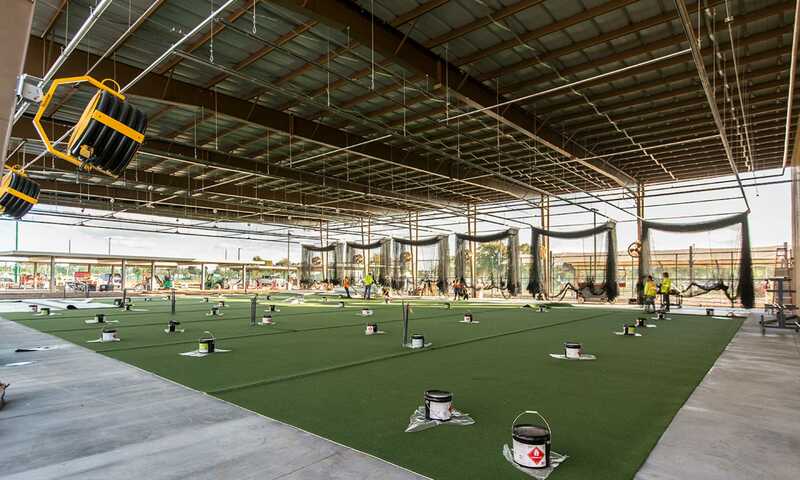 The renovated facility is designed with connectivity in mind – not just state-of-the-art technology, but the human kind – ensuring that the immersive baseball experience that fans appreciate about Maryvale remains intact. The layout and design of the complex makes the space feel larger, yet it is sited on the same 60 acres and seating for 10,000 – a combination of fixed seating and the grass berm behind the outfield fences – is the same intimate capacity. Consistent with the Brewer’s culture of excellence and community connectivity, the new Major League and Minor League clubhouses with associated training facilities, the new entry plaza and fan amenities, elevate the overall Spring Training experience. Simple forms and materials were thoughtfully selected, and the flow for players, coaches, executives and staff allows for effective workouts while remaining connected to the outdoors and the fans. The project includes a new 106,000 square-foot clubhouse building with home team and visitors’ locker rooms and vastly improved facilities for all baseball operations functions, including complete medical and workout facilities. There is renovated space for sports science and psychological services, an eight-lane batting tunnel, an agility field, new pitching and catching mounds, a high-performance practice field matching the dimensions of the team’s home stadium in Milwaukee, American Family Ballpark. Improvements were also made to each of the seven Spring Training playing fields. Everything that is special about the Milwaukee Brewers, from regional food and beverage offerings to the Famous Racing Sausages, are all part of the lore and Spring Training experience. Bringing the past along to the present instills pride and is all part of the fun. A wide array of fan enhancements include widened concourses for better circulation between the new concession areas, restrooms and the seating bowl. There’s an expanded Milwaukee-friendly food and beverage menu (think cheese curds, beers and brats) and a new Daktronics video board. The complex features a welcoming main gate entry plaza situated at the home plate entrance to the ballpark, something entirely missing before the renovation. Large graphics celebrating the team’s retired numbers add visual excitement, and the space is further activated by the Brewer’s new flagship team store that features an entrance outside of the main gate, allowing fans to shop during non-game times. New landscaping was installed throughout the complex, with planting materials to compliment a desert oasis theme that enhances the grounds while delineating circulation paths and use areas. The complex’s practice diamonds are tailor-made for the ultimate Spring Training experience: fans can watch their favorite players in action up-close. Of the 15 MLB teams that train in Arizona, Milwaukee is the only club still operating a facility in Phoenix. Building upon more than two decades in the Maryvale community and in partnership with Grand Canyon University, the Brewers created a Learning Lounge, a dedicated space within the clubhouse building offering local students access to free tutoring on school days and year-round youth programs provided by Grand Canyon University students. The Brewers also dedicated the facility’s home plate entrance as the John F. and Mary P. Long Plaza, in honor of the longtime west Phoenix community developer and his wife. In fact, Maryvale was named after Mary Long. The Longs originally donated 56 acres of land in 1998 to make the Brewers Spring Training complex a reality. The Brewers 2019 exhibition season follows a highly successful 2018 campaign: 96 wins, National League Central Division Champions – and just one game shy of a World Series berth. It’s that kind of playoff run – a first for the Brewers in seven years – that leaves a team and its fans itching for a return to baseball. This is a complex that will forever be rooted in experiences: for the families who will be closer to professional athletes than at any other sport, and a place of pride that will be as good in 20 years as it is today. The American Family Fields of Phoenix holds the promise of a premier fan experience. Winter is fading and the time-honored tradition of Spring Training has finally arrived. For the Brewers, their fans and for anyone who is a baseball fan, there’s a new magical place for you to connect to the game. Baseball is in the air; the anticipation and excitement await. From healthcare to sports, Mo designs places that convey passion for users, visitors and community. For more than 40 years, Mo has provided leadership to clients by translating big ideas into reality.